On February 22nd the National Park Service (NPS) announced the release of the final Winter Use Plan and Supplemental Environmental Impact Statement (Final Plan/SEIS) for Yellowstone National Park. The Winter Use Plan Final SEIS analyzes a wide range of alternatives and now has a new final Preferred Alternative. BlueRibbon and our partners will be reviewing the Final Plan/SEIS and will have additional feedback in the near future. 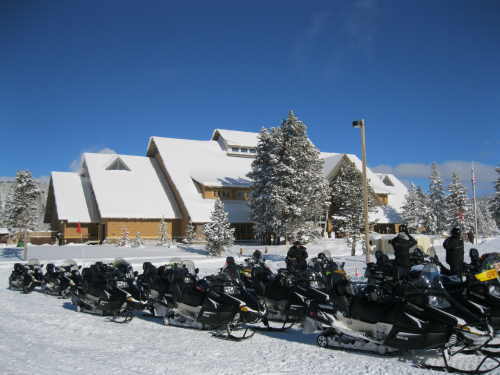 However, in the Park Service Media Release, under the new preferred alternative, the Park would allow up to 110 “transportation events” a day, initially defined as either one snowcoach or on average a group of seven snowmobiles. No more than 50 transportation events a day would be allocated for groups of snowmobiles. In addition, a new one entry a day per entrance of non-commercially guided groups of five snowmobiles would be allowed. 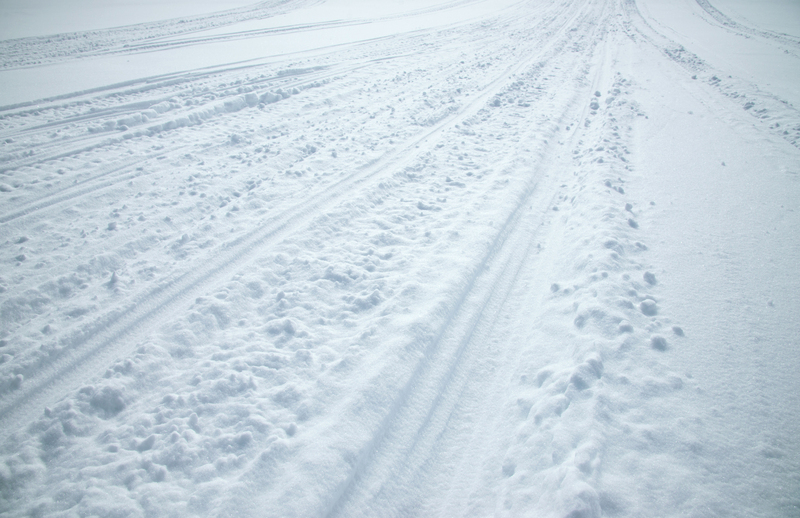 This non-commercially guided concept will be the first time in five plus years that non-commercially guided snowmobile access will be provided. Note, all five of the sleds in the group will have to meet Best Available Technology (BAT) standards. The preferred alternative would also allow for motorized oversnow travel on the East Gate road over Sylvan Pass. Important to note is the fact that in the preferred alternative there is a one-year transition period with the Park operating winter use under the same rules and use levels as we have since 2008. That means that for the 2013/2014 season up to 318 commercially guided Best Available Technology snowmobiles and up to 78 commercially guided snowcoaches will be allowed daily. 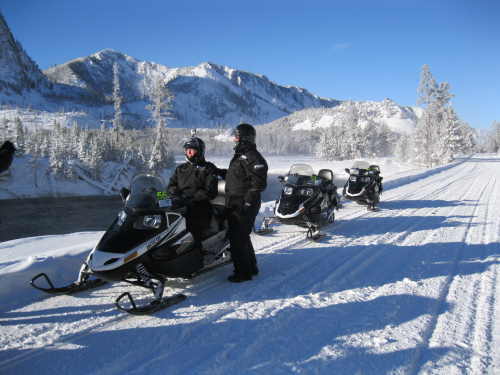 Starting in 2014/2015 the number for snowmobiles could increase to 480 commercially guided daily entries and 20 noncommercially guided daily entries. An electronic copy of the actual details of the Final Plan/SEIS, are available at the National Park Service’s Planning, Environment and Public Comment (PEPC) website at http://parkplanning.nps.gov/yell. Once there, click on the “2012 Supplemental Winter Use Plan EIS” link and than click on “Document List”. You can also request a printed copy of the Final Plan/SEIS by contacting the National Park Service, Management Assistant’s Office, P.O. Box 168, Yellowstone National Park, WY 82190. The next step in the Winter Use Process will be the release of the “Proposed Draft Rule” that would be used to implement the Park’s preferred alternative; this rule will have a 60 day comment period. This “Proposed Draft Rule’s” comment period will be our opportunity to comment on all aspects of the final Winter Use Plan/SEIS. The comment period will close 60 days after the EPA publishes a “Notice of Availability” of the “Proposed Draft Rule” in the Federal Register. That date will be announced soon. We will supply possible areas to comment on the “Proposed Draft Rule” in the near future. The National Park Service intends to have a Record of Decision and a final rule guiding winter use in place before the start of the 2013-2014 winter season. 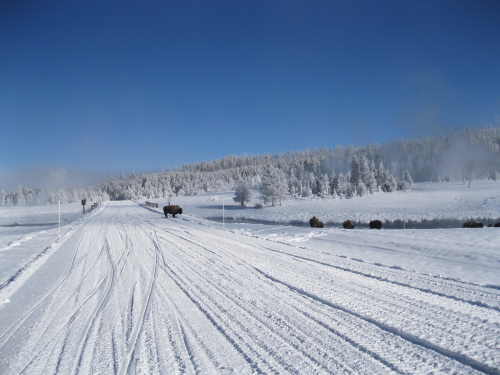 For current updates on the Yellowstone Winter Use issue go to the BlueRibbon dedicated website of www.saveyellowstonepark.com.